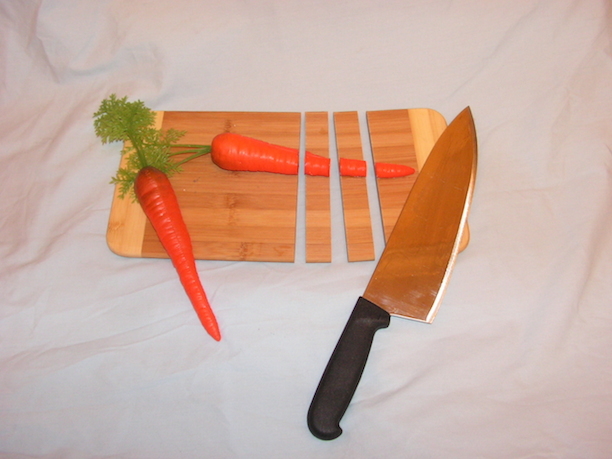 Knives are used more than any tool or piece of equipment in the kitchen. They must work properly! Whether your knife is forged, stamped, serrated, Japanese single bevel, carbon steel, laminated, Damascus, or the only knife of its kind in the world... we will repair and sharpen it for you. I don't claim to be the best, but my customers think I am. There are a number of different issues that can arise over the lifetime of a knife. If the condition of your knife resembles any of the above, it needs some attention.